The adage below is a metaphor for Governor Andrew Cuomo’s “Open For Business” plan, a new state government approach to economic growth and job production. To that end, Governor Cuomo has established ten Regional Economic Development Councils whose goals are to empower local experts to create jobs, jobs, jobs. The councils are made up of business leaders, public officials and educators. I am honored to have been named to the Mid-Hudson Regional Economic Development Council that includes Orange, Ulster, Westchester, Putnam, Dutchess, Sullivan and Rockland Counties. Both Governor Cuomo and Lieutenant Governor Robert J. Duffy have given this job creation project the highest priority and both are actively involved in providing leadership to the groups. The mission of these councils is clearly important as the Governor has identified one billion dollars in funds and tax incentives to be provided over the next five years to enhance economic development projects to produce jobs for New Yorkers. As a member of the Mid-Hudson Regional Economic Development Council, I believe it is my job to be sure that all educational institutions of higher learning in our region have the information about economic development opportunities and can contribute to the job-producing initiatives affecting this region. I also know that I can offer the prestige, resources and flexibility of the State University of New York and all its colleges to provide a variety of support services, skills and knowledge, both to develop and implement significant projects that lead to jobs. This is the power of SUNY. 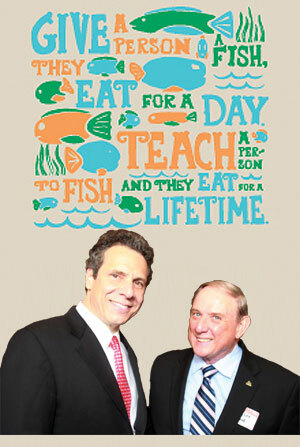 Additionally, I know the support and resources of Rockland Community College can enable RCC and SUNY to be significant leaders as we fish for jobs in this important initiative so crucial to the future of the entire state and to the colleges of New York. Community colleges, including RCC, are uniquely qualified to support job development and to train skilled workers because of our ability to respond quickly to identify educational and employment needs. Also, community colleges are part of the fabric of their local communities and, over the years, have involved and worked with local businesses and industry to train and re-train local citizens for the community’s work force. This is certainly true of community colleges in the Mid-Hudson Region. In whatever ways we can, we also want to contribute to the changes that are needed to make each of our communities a good place to do business. This includes creating a climate where small businesses can prosper, expand, and provide additional jobs within the community. The creation of this climate is crucial if it is to be one that remains vibrant and innovative with ongoing new employment opportunities. The greatest challenge facing the Council is how to use the resources the Governor has made available to have a lasting impact on job growth in the region. Therefore, I invite you to help us identify what needs to be addressed so that local businesses can thrive and expand, so that additional jobs are available for New Yorkers, and so that our region attracts new employers and new jobs. If you have ideas or suggestions about creating jobs for the Mid-Hudson Region, please reach out to me at cwood@sunyrockland.edu. I know that together we can create positive solutions to stimulate and create job growth in our beautiful Mid-Hudson Valley Region. 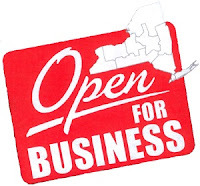 We can meet Governor Cuomo’s expectation by suggesting “new models for sustainable development which will yield more jobs, more investment, stronger industries, and more vibrant communities for all New Yorkers.” This great Empire State will once again be “Open For Business."